Never log into your email using public wifi. Get yourself a mifi device. A mifi device is a personal wifi that uses cellular broadband to make a wifi connection. Not super convenient, or free, but using a mifi device is much more secure. You can password protect it and it pulls from a private source. You can also typically use your smartphone as a personal hotspot. Change your passwords frequently. If a hacker gains access to your password, they may try to access your system or account more than once over a period of time. Changing your password reduces the risk that they will have frequent access. It also keeps things like a keystroke logger, which is surveillance technology used to record keystrokes, from obtaining your password through repeated logins. Never email any documents that have your client’s personal information. If you do email any documents that have that type of information, make sure it is password protected and encrypted. 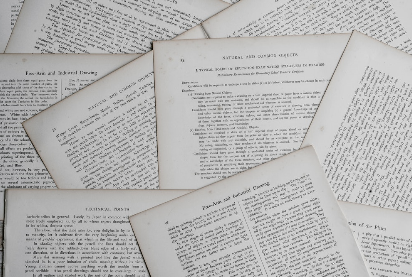 Stop and read an email before opening any attachments or following any links. If you do not have your email set up to preview a message before opening, modify your settings to allow it. A lot of attachments and links in fake emails from scammers and hackers have viruses and other little nasty surprises that can corrupt your system or open a backdoor for someone to get to the rest of your information. Do not use a free email service for your business email. Yes, they are convenient, and better yet, free. However, they have the barest minimum of security when it comes to allowing junk through. Computers can be a convenient tool that can make our lives easier in many ways. By following these 5 rules, they can continue to be the tools that they are intended to be. Here at Tallgrass Title we are committed to protecting all of our associates and clients. 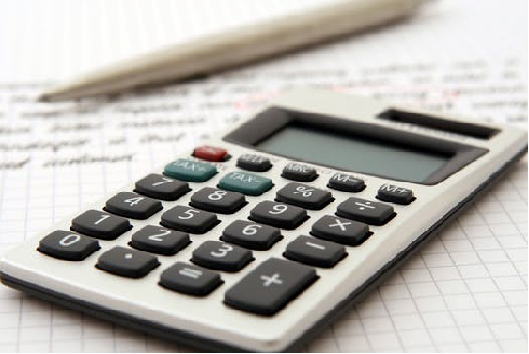 Let us know how we can help you protect yourself and your clients from scammers and hackers. 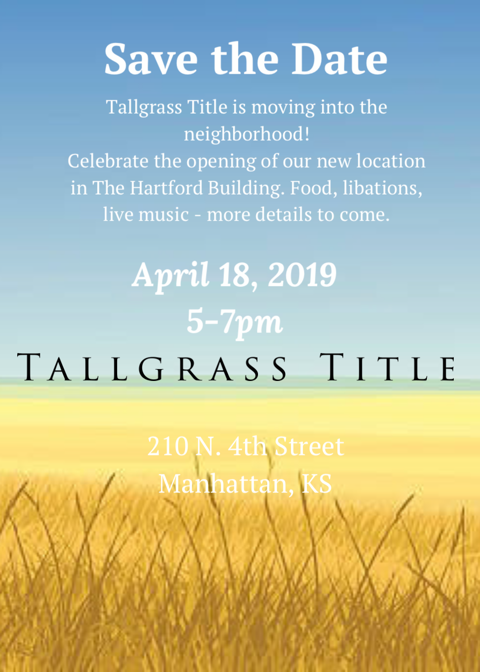 At Tallgrass Title, we believe in the strength and growth of our area. Several major additions, both private and public, have been added to the job market regionally. Additionally, the quality of life in the Flint Hills region continues to improve. This, in turn, has made the Flint Hills region a wonderful place to live and raise a family. These factors have caused rapid growth in the region. A major contributor in assisting with that growth is the Flint Hills Area Builders Association (FABA). Tallgrass Title is a proud member and supporter of FABA. We feel that FABA best represents the builder and associated supporting businesses and their needs in the region. 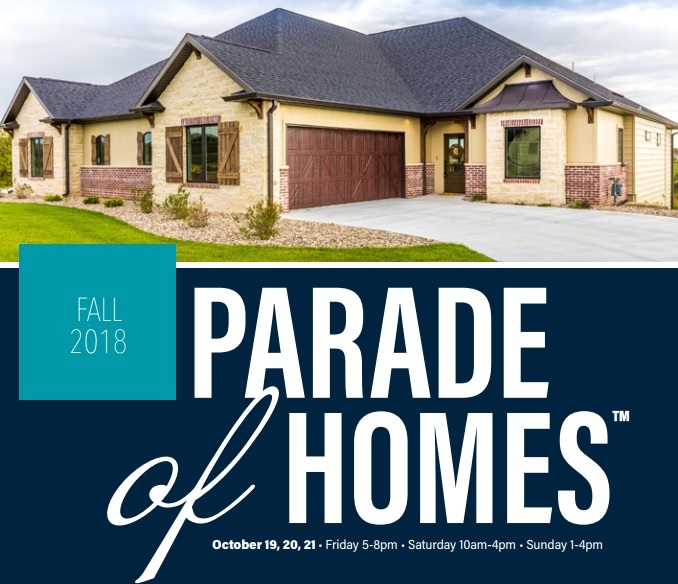 This weekend is the Flint Hills Area Builders Fall Parade of Homes. 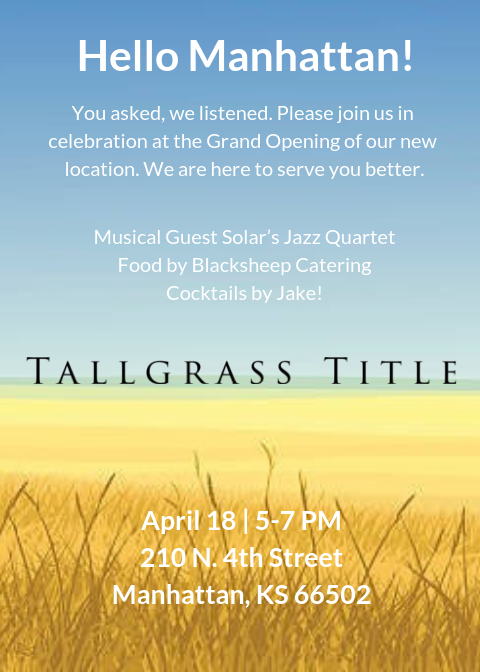 Tallgrass Title is a proud Grand Marshall sponsor of the Parade of Homes and has been so for several years. We feel that this is a wonderful opportunity for potential buyers to see the quality homes built by FABA members. It is also a chance for consumers to view the latest designs and products used in the area. We encourage any interested folks to take advantage of the tour this weekend and join the parade! The tour is free and guide books are located at each of the Grand Marshall sponsors, online or at each of the homes on the tour. We hope to see you on the parade!